Very pretty 4 bedroom period character cottage located in the heart of Headcorn village along the High Street. This attractive spacious property has undergone a complete refurbishment with new heating, wiring, kitchen and bathrooms yet retained its character qualities. It is now ready for its new owner to move in and enjoy the location. Private off road parking at rear. This village centre home is ideal for someone needing to be in the heart of all the amenities of this thriving village. 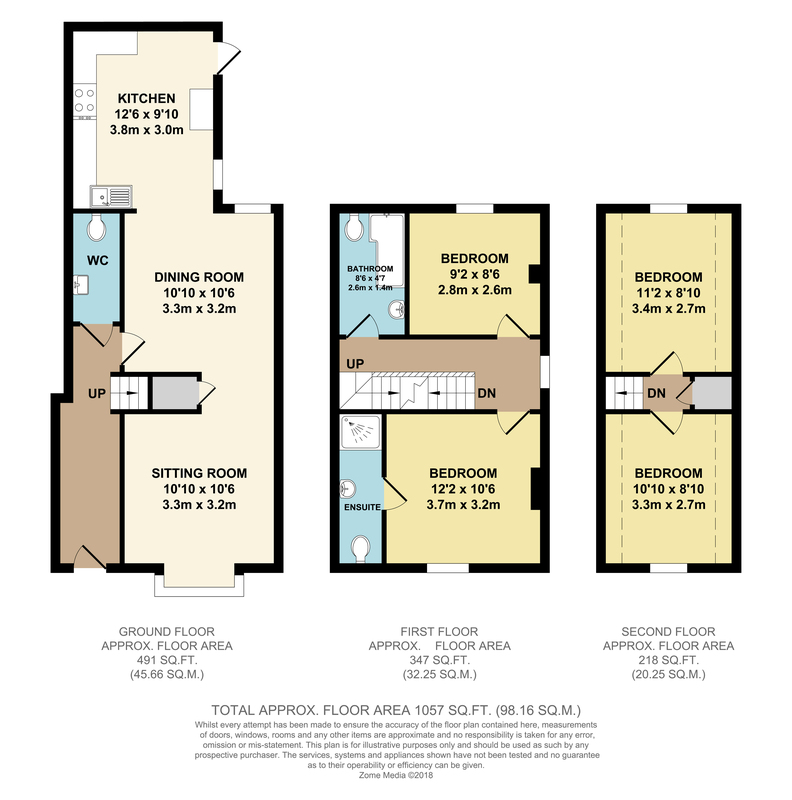 There is no compromise on space with a long entrance hall and ground floor rooms that have the feeling of being open plan, yet have distinct areas. There is a sitting room at the front with a square bay onto the High Street leading into a dining room and a fully fitted kitchen with appliances, washer/dryer/dishwasher/oven/hob and extractor. There is also a WC with handbasin off the entrance hall. A staircase from the entrance hall ascends to the first floor landing with the largest room at the front having an ensuite shower room. There is also an additional bedroom and shower/bathroom on this floor. From the landing, a further staircase ascends to the second floor with two more bedrooms which have lovely views. There is a secure fenced and walled garden with a small stone terrace and lawn. Garden measures approximately 6 metres by 5 metres. The private allocated parking space is located at the rear of the house. The property has gas heating via radiators and has mains drainage. Sold with floor coverings carpets/wood floors and wall lights.